People are our #1 asset, and our staff members are well known throughout the industry in our area for their friendly, professional, and competent manner. We are a progressive company, putting our people and their families ahead of profits, as we grow a company that is built to last. From power generation to fluid storage, you need to have confidence in the equipment on your lease. That is why our quality control staff inspects and services every single piece of rental equipment before it goes out to the field and upon return to our yard. In addition, we keep on file all service work, repairs, and inspections on each unit, so that our customers can be 100% confident in our equipment, and have the documentation to back it up. Our QC staff will inspect each and every piece of equipment that we have in the field once every week, at no charge to the customer. On a weekly basis our Quality Control Officer will visit every single work site that we have equipment on to ensure the equipment is running 100%, and he will document each inspection. This is a service that is provided by Longhorn to our customers free of charge. There is not one aspect of my life that is not on the line every day with respect to ensuring the safety of both my people and the public around us. 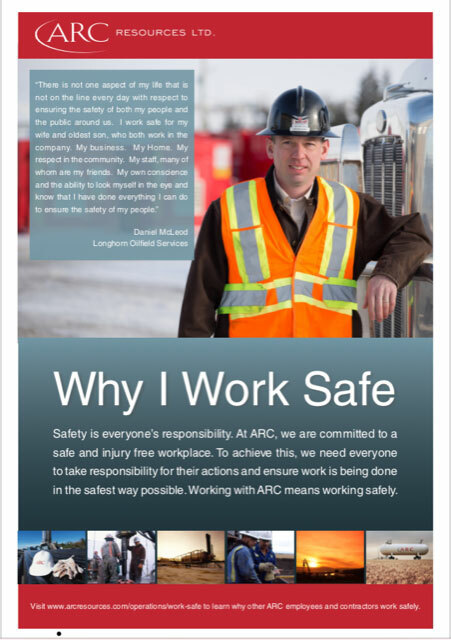 I work safe for my wife and oldest son, who both work in the company. My business. My home. My respect in the community. My staff, many of whom are my friends. My own conscience and the ability to look myself in the eye and know that I have done everything I can do to ensure the safety of my people. Training programs are not static, they are ongoing, and occur as new courses become available that are pertinent to our industry. Longhorn has more than 30 SWPs for commonly occurring tasks. All staff members are required to go through a formal internal training process covering these SWPs. Our documented mentoring program ensures that safe work practices are passed on to all new Longhorn Oilfield employees when learning and performing commonly occurring tasks. To ensure that we are providing our customers safe and properly running equipment we have implemented a documented maintenance and weekly QC program for all of our equipment. This includes all of our vehicles, trailers and rental equipment. Longhorn Oilfield Services is a progressive oilfield service company, making a company culture of safety our top priority. This is an ongoing, proactive process in which all of the Longhorn Oilfield Services Team participates every day.